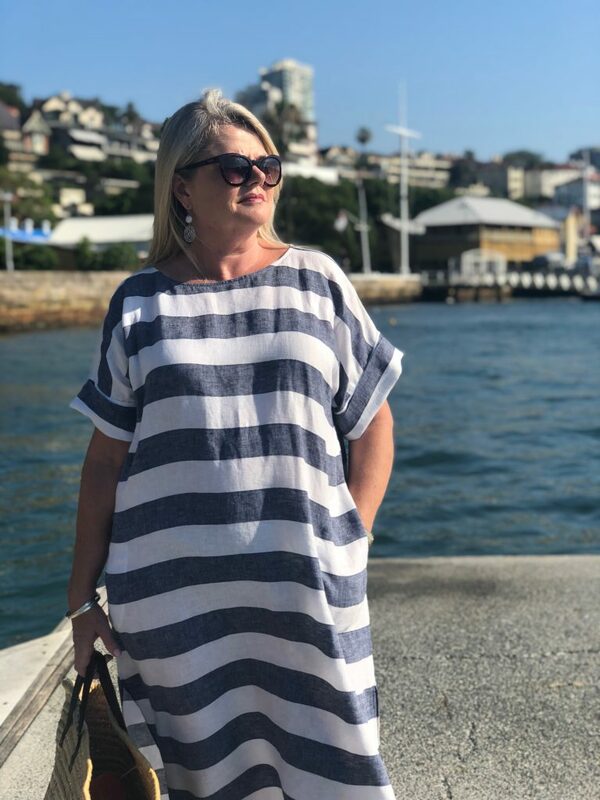 Say hi to our very first pattern of 2019 – the Coni Tunic! We’re pretty excited to release this pattern while there’s still some life and warmth left in our summer yet. And we’re equally excited to release it to followers in the northern hemisphere who are inching closer and closer to spring and maybe (hopefully?) starting to feel that seasonal sewing shift. 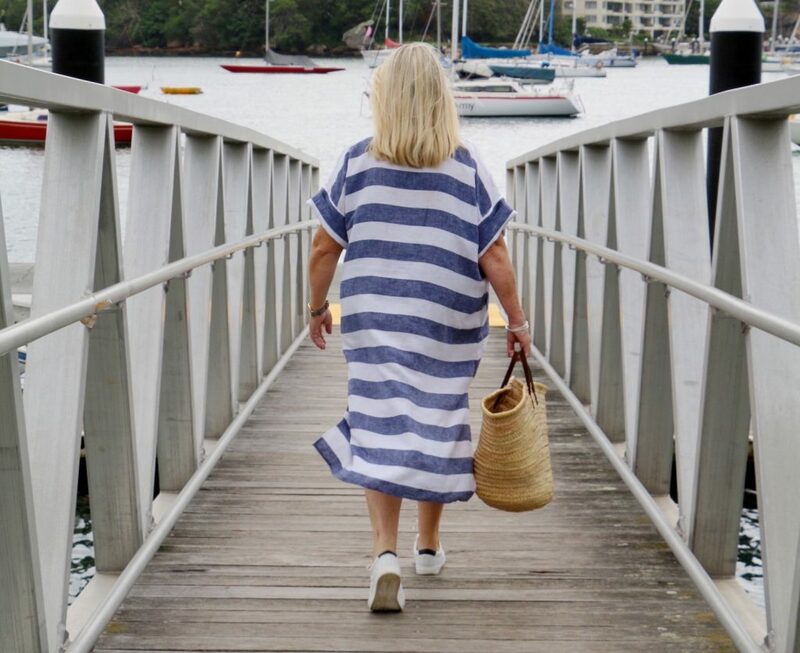 Coni is a relaxed, tunic-style dress featuring a wide neckline, stitched down side pockets and, for that all-important warm-weather ventilation, side splits. 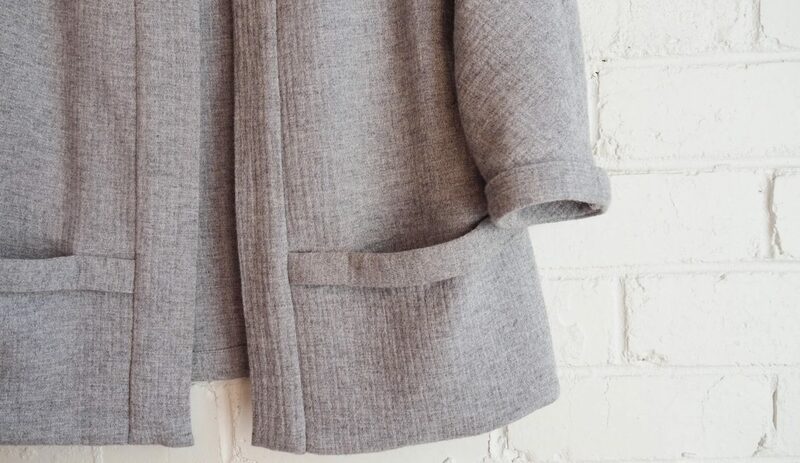 The dropped shoulder is finished with sleeve bands and the pattern provides two band options for either narrow or wide width. 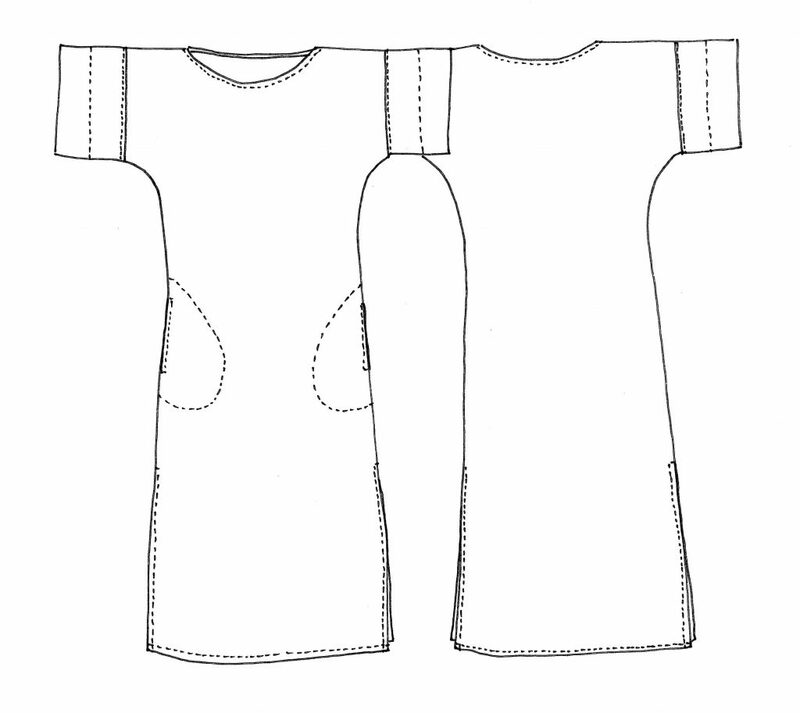 The latter can be worn out to give an extended sleeve line (shown above) or turned back (shown below) as a cuff feature. This style is great as a stand-alone dress but looks equally fabulous layered over pants or leggings. 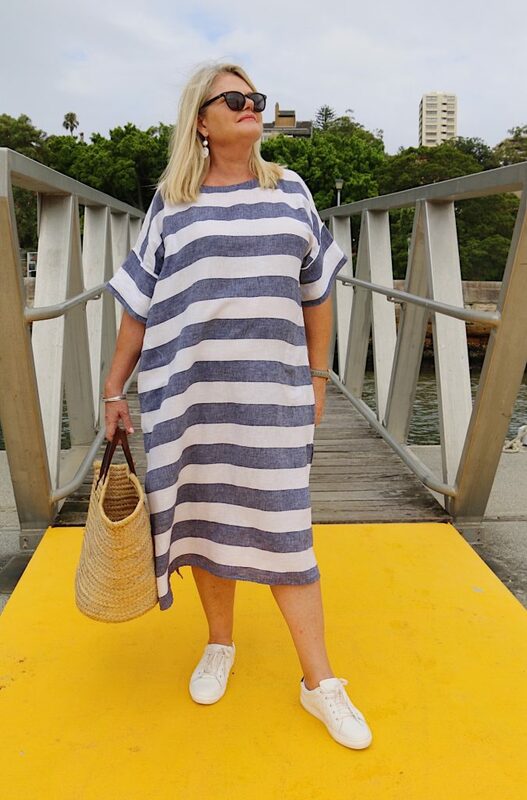 And in a lighter fabric (like a crinkle linen, below), it makes a makes a truly excellent beach cover-up. 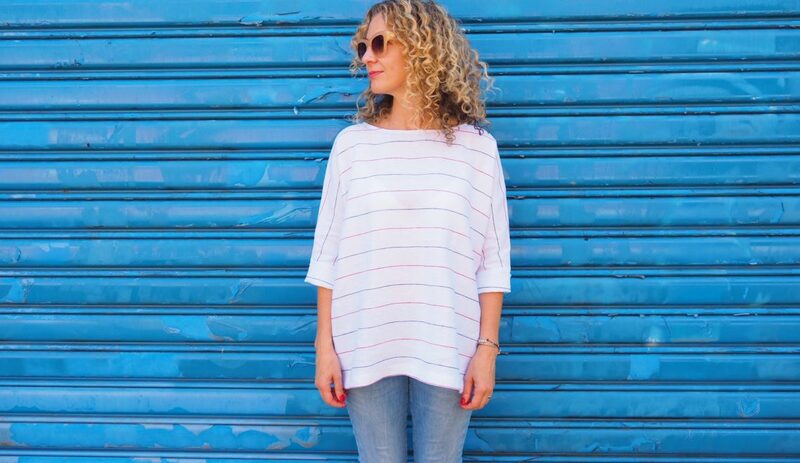 It really is the perfect addition to any summer wardrobe, especially those holiday ones. 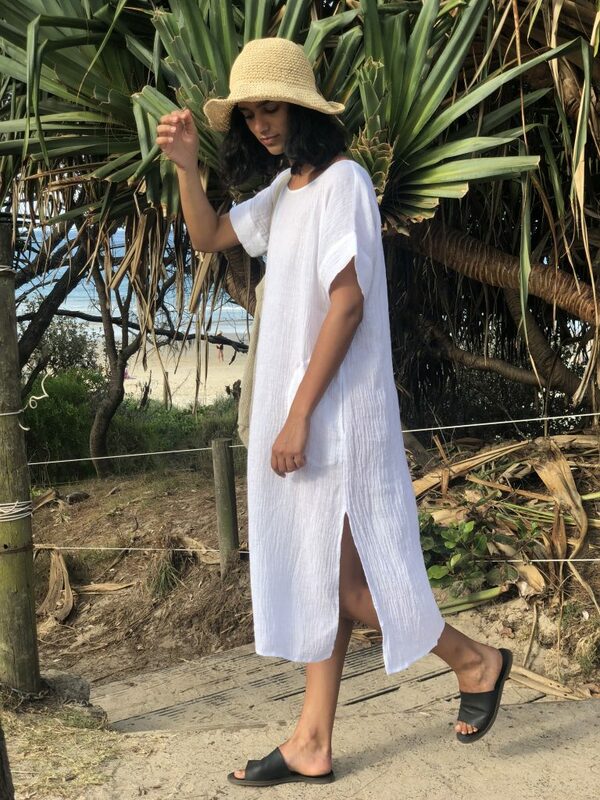 The Coni Tunic glides nicely across the apparel spectrum that is part dress, part tunic and part kaftan. Play around with your fabric choices and it can be anything from elegant to beachy to casual to smart. 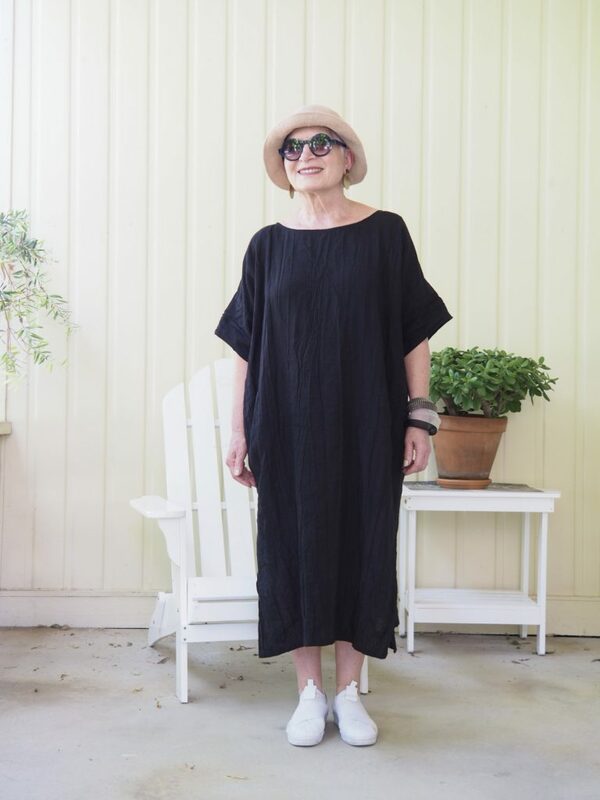 The timeless style works for all ages and all shapes and has the added benefit of being both cool and supremely comfortable. Recommended fabrics for this pattern include linen, linen blends, silk crepe de chine, viscose, rayon, cotton cheesecloth or gauze. 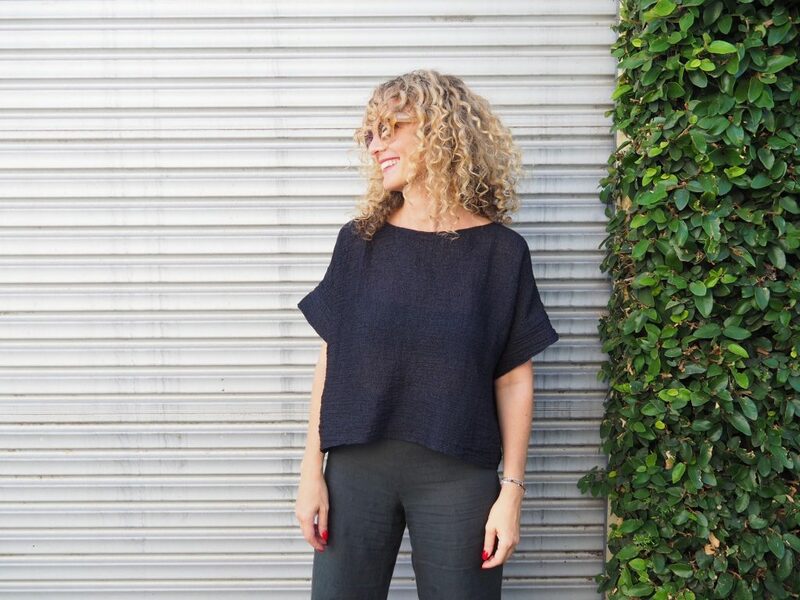 The Coni Top comes in four (Australian) sizes – Size 1 (6-8-10), Size 2 (10-12-14), Size 3 (size 14-16-18), Size 4 (18-20-22) and is now available in both hardcopy and PDF copy shop/print-at-home versions. 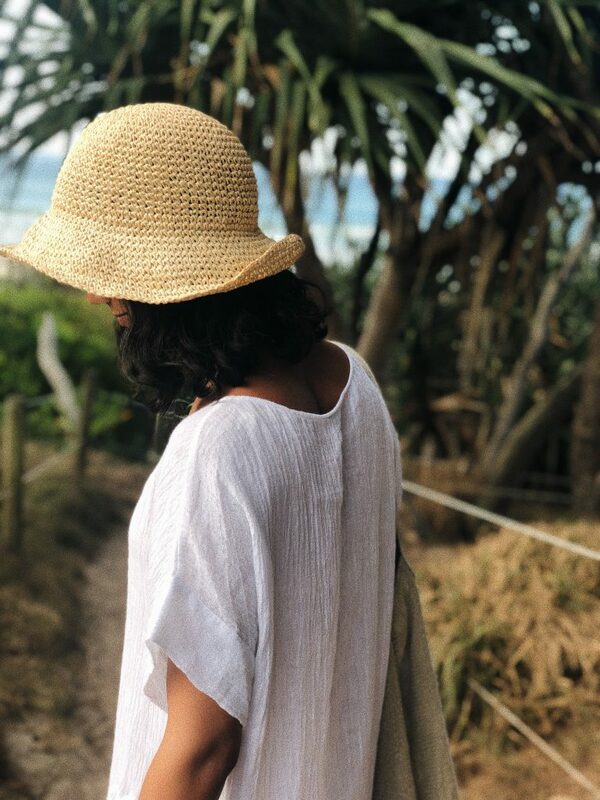 And in case you were wondering…yes, this pattern can absolutely and easily be cropped to make a simple, breezy top at your preferred length. I made this one in our Granite Crinkle Linen, raising the neckline (just a personal preference) and cutting the fabric on the cross grain so the crinkle runs horizontally. Is this pattern in stores where as you buy stuff for sewing like at Clothworld or Joanne’s? I don’t mine paying $12.00 for a hard copy but $25.00 no for one pattern , no . Hi Joycelyn. 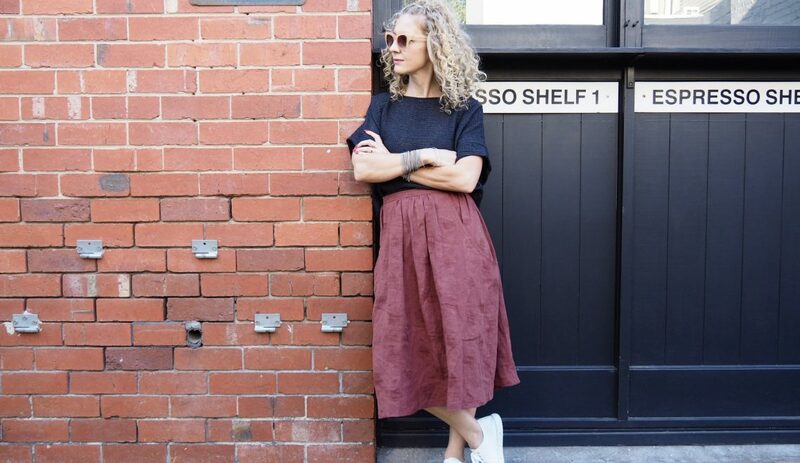 We’re located in Australia so hard copies of our pattern are only available in local stores and our online store. The prices are quoted in Australian dollars. Hi, I am struggling with the neck binding. On page 10, trimming the excess binding back to 1/8” away from the stitching. So far so good, but then I still have a raw edge for this next step. sure that the binding is not visible on the right side. I feel as if there is something missing, why do I have a raw edge left on the inside of the neck? 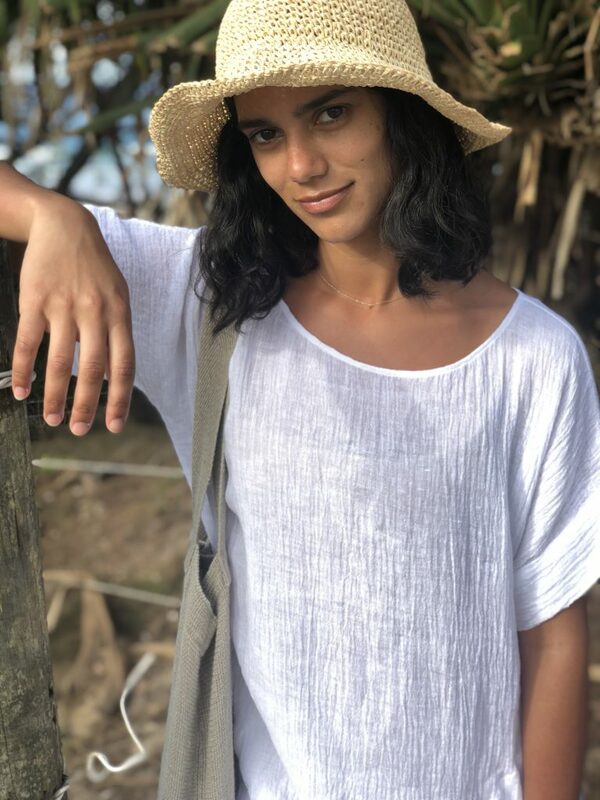 This is the same neck binding method used in the Athina Top and Bondi Dress patterns. I can see that you have ordered Athina, have you made it yet? If you have followed the instructions as detailed you should absolutely not have a raw edge on the inside of your top. After trimming back the binding (on wrong side of tunic), you then turn the binding (at the neck seam and where you understitched) towards the wrong side of the tunic. The neck seam must be at the neck edge and the understitching on binding now is only visible on wrong side of neckline, in doing this the binding covers the raw edge (where you trimmed). Then on the wrong side of your tunic, you stitch the bottom edge of the binding in place and this will create the stitching detail around neckline on right side of top. This is a much easier binding method, but with a different application to what you may be used to. If this still doesn’t make sense, you must have missed a step somehow or misunderstood the directions. Please email me some photos – tessutifabrics@gmail.com, so I can work out what has happened at your end. Thanks for your reply. I ended up making the binding the way I have always done. I will be making Coni again so I will follow your instructions when I do. I have no idea how I went wrong, but I have undone it all, so I can’t send photos. Thanks again, I am very happy with how Coni turned out. I’m very confused about the pocket. I don’t know where I’m supposed to understitch. From the top down to notch A and then from the bottom up to the other notch A. (Might have been better to have one A and the other B!). Or is it between the notches? Yes correct, it’s in between the notches (A).